Days of batch and blast are history! The days of simplistic, impersonal emails are long gone. It’s no longer enough to have a fast server and a fat internet pipe. Reputation, infrastructure, email engagement and certification now factor into an ISP’s decision whether to deliver your email to the Inbox or Bulk folder. After all this, you still have to design content that gets your email read and actually convince the reader to respond to your call to action. We take care of all of this too. We want to hold your hand! If you’re new to email marketing or if you’re ready to turn yours up a notch, AllWEBeMail wants to help. 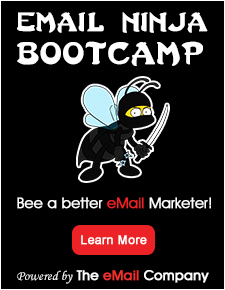 Your dedicated All Web Email marketing rep will make sure that your email is designed to get results. Our high volume MTAs will manage the communications with each ISP’s mail server, uniquely ensuring the highest Inbox deliverability. We love custom programming and tough database work. 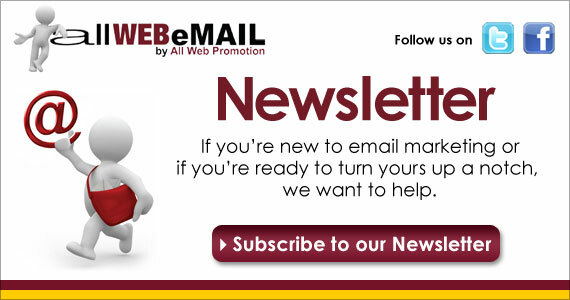 If your email marketing program requires functionality unique to your company, AllWEBeMail can help. Our systems are 100% customizable and limited only by your marketing creativity. We can integrate our mailing platform directly with your in-house sales and marketing systems to support the highest level of mailing list segmentation. Plus, you can automate your highest ROI emails so they’re delivered at the perfect time. 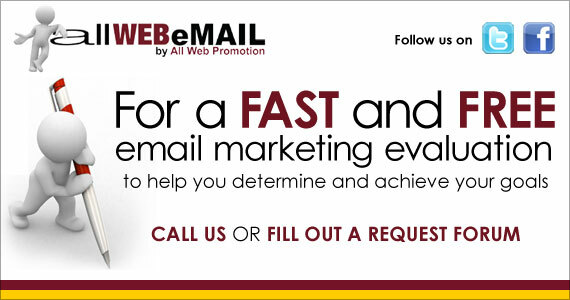 Since 1999, AllWEBeMail (a division of All Web Promotion, Inc.) has helped businesses use email effectively to communicate with their customers. Our skills were developed while we helped our own affiliate sister companies use email to communicate with their customers. 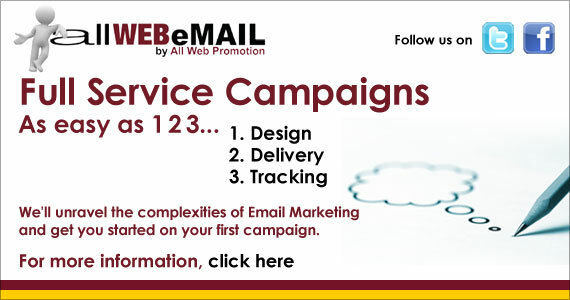 We started offering our email marketing services to our Search Engine Marketing clients in 2001. AllWEBeMail has offices in Oglesby, Illinois and Point of Rocks, Maryland. We are highly motivated people that take lots of pride in our work. Our clients rely on us to stay on top of industry changes and leverage these and other marketing and technology skills to continually improve return on investment. We fully guarantee our work and recognize that our business doesn’t grow if your business doesn’t grow.